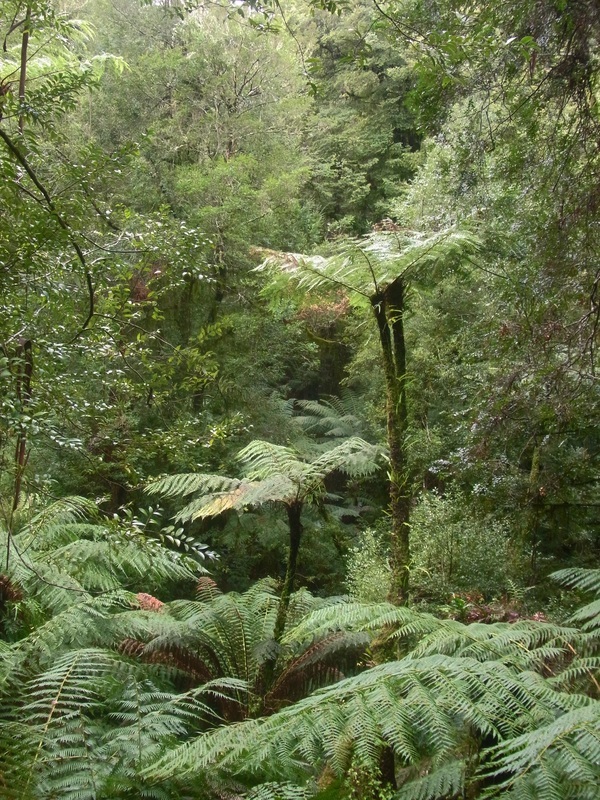 Of all the regions that contained mountain ash forest, the Strzelecki Ranges were probably the hardest hit in terms of fires and land clearing for agriculture. 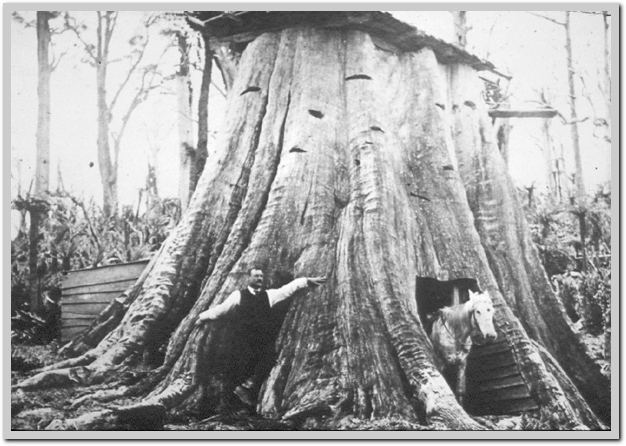 Photographs of giant trees from the late 1800s show settlers dwarfed beside enormous, and usually dead, trees. Today, most visitors to the region will see either cleared dairy and potato farms, or plantation forest of either eucalypt or radiata pine. 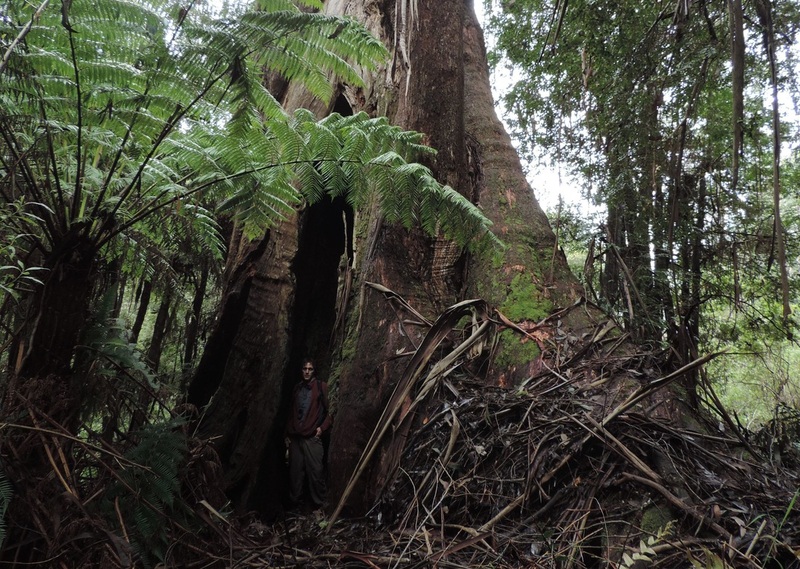 There are still tiny pockets of old growth trees remaining - most notably along the Grand Ridge Road as it passes the Gunyah Reserve. One of the largest of these is the Mount Fatigue Giant pictured below in 1992 and about 2008. 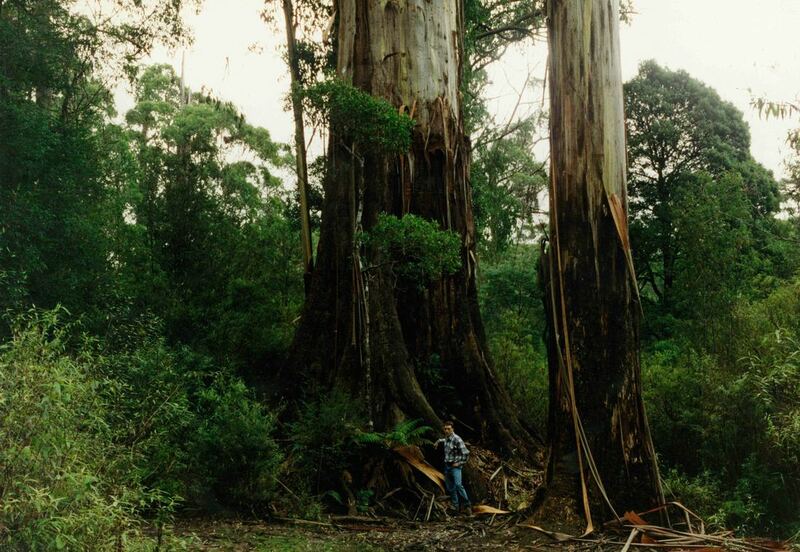 This tree is 19m girth at breast height, making it the widest known tree in the State. 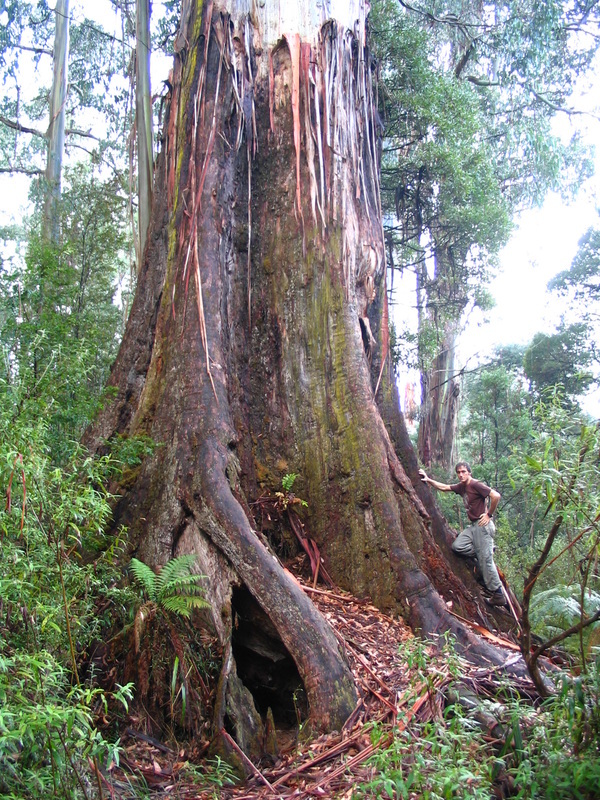 Thick scrub often hides giant trees along the Grand Ridge Road. 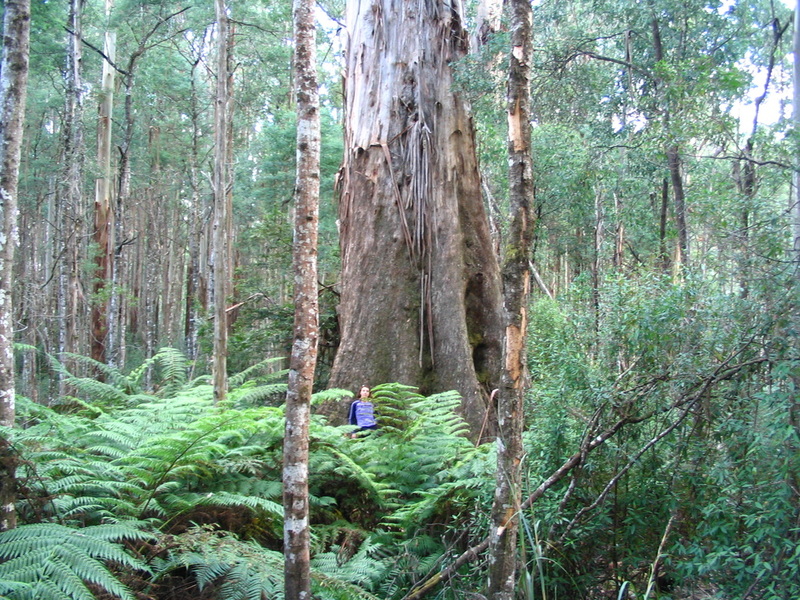 This giant, 14.7m girth, is a few hundred meters off the Grand Ridge Road in the Gunyah Scenic Reserve.